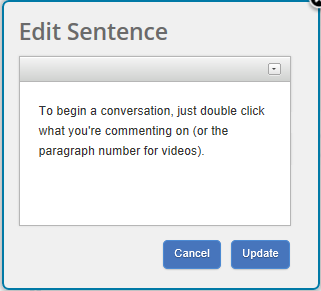 When the Document Owner either edits the document or accepts a Revision Suggestion, the resulting document changes are shown with Track Changes formatting (described in Section D below). Note: in some cases a changed document will be moved to the top of reader&apos;s My Library page (with a dot) to flag that it&apos;s a revised document. Until Winter 2016 only the Document Owner could add material to the bottom of an already uploaded document, but now others with document access can too if the Document Owner enables it (either when the document is first uploaded, or later from the Document Properties page). When you&apos;re finished editing, click “Update” to replace the old material with new material. 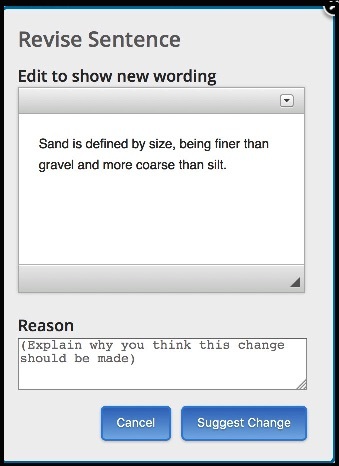 How we show the old versus new wording is described in Track Changes below. 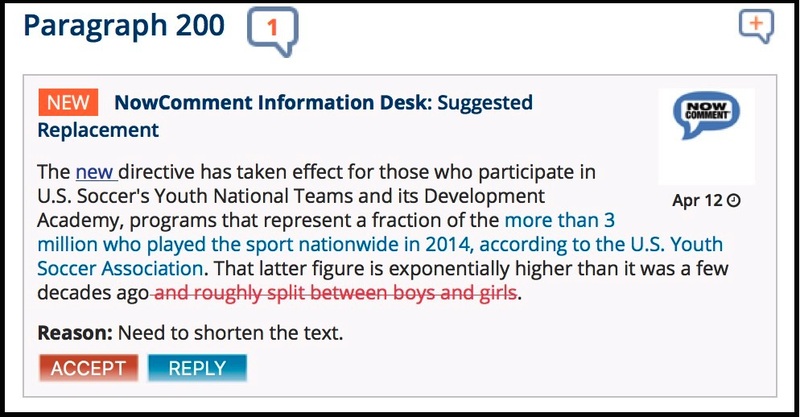 Once you&apos;ve finished revising, click “Suggest Change” to add your suggestion comment (it will be automatically tagged as a “revision”). The “Accept” button changes to say “Wait” after it&apos;s clicked, as it then takes several seconds to update the document). 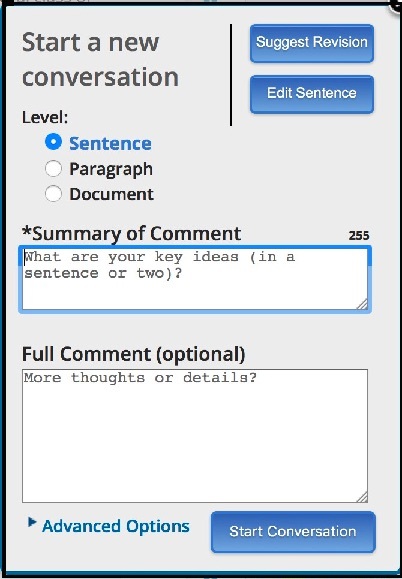 Whether the Document Owner accepts it or not, the Revision Suggestion remains as a comment, and the Document Owner and others can reply to it to continue a conversation about the suggested change. Accepted Revision Suggestion comments get a “revision accepted” tag. 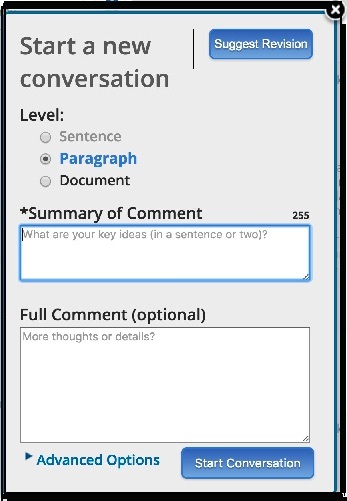 You can switch between the two views by clicking the “Track Changes” icon that appears in the left margin of the document text. Note that the Track Changes markup will always appear in the Revision Suggestion comment, whether it&apos;s been accepted or not. To temporarily turn on (or off) Track Changes display throughout your document click the “Show (or Hide) Changes” button at the top of the document; whether you&apos;re using the button to show or hide changes, you can always click a paragraph&apos;s Track Changes icon to change its display. We hope these explanations will help you use these features to keep your online documents update-to-date. Return to the main NowComment Help page.